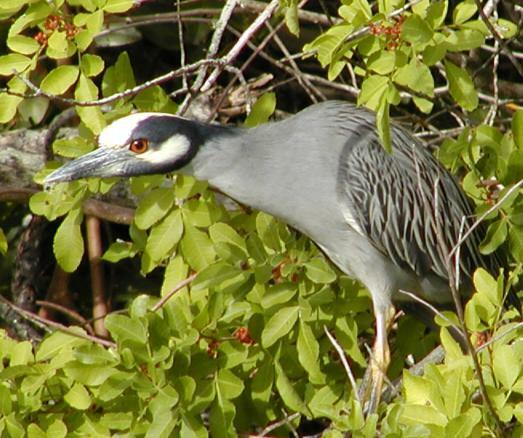 Even though the yellow-crowned night herons tend to be nocturnal, you will see them around the edges of ponds. Notice, behind this heron, the red berries of the ubiqitous brazilian pepper plant. 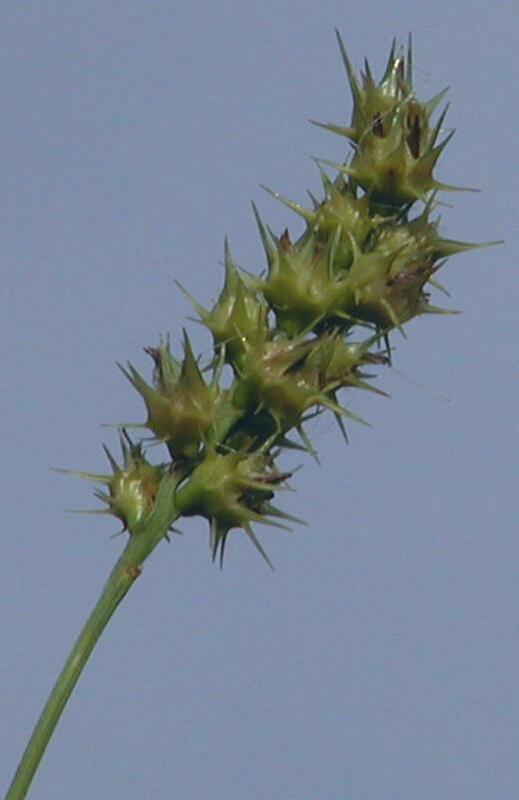 Park staff and volunteers wage constant war against this non-native species. The soldiers hole area is excellent for birdwatching. While there are many trails for easy walking, it's more undeveloped, and less busy, than some other areas. Don't forget to bring your binoculars! Many of Florida's seabirds make birdwatching easy--you can practically walk right up to them. However, there are hundreds of species that are just passing through, on the Atlantic Flyway. Many of these can be much more challenging. If you're new to birdwatching, you'll want to get a pair of binoculars. 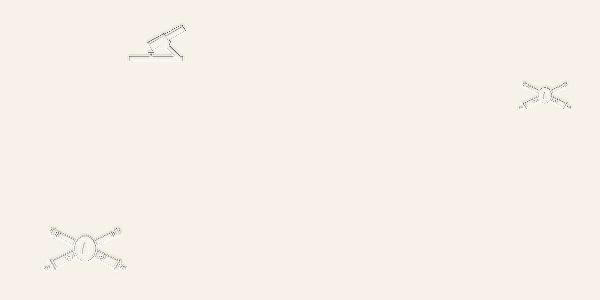 Do some research about binoculars on the Internet. Get something that's not too heavy. Something that feels ok as you set off on a hike might feel a lot heavier after a couple of miles! Make sure you get good, coated optics of quality. A bargain pair of binoculars is no bargain if you don't have good glass inside! It might be best to stay with a known brand name. For example, Nikon has very reasonably priced 7x35 or 8x40 models. Hundreds of species of birds have been sighted in Fort De Soto park. Armed with a pair of quality binoculars, your list of sightings will grow quickly! 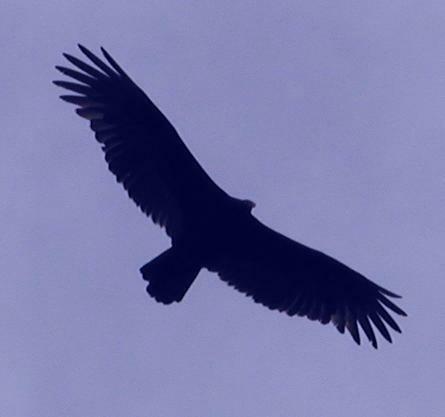 A black vulture floats on the wind looking for a meal. Ever wonder where those cursed sand spurs come from? Here's what they look like before they end up on your socks.